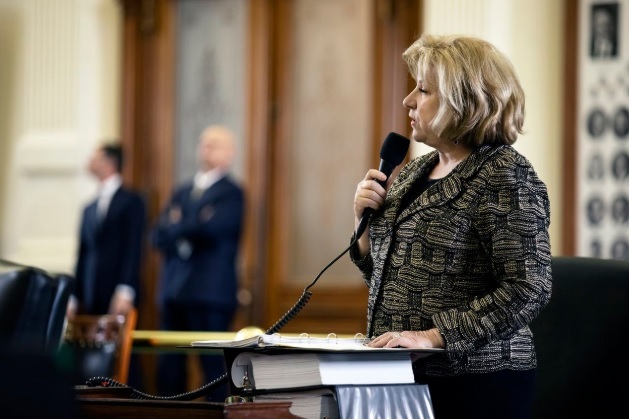 Texas State Senator Jane Nelson introduces SB 3 on the Senate floor on Mar. 4, 2019. Authored by the Senate’s lead budget writer Jane Nelson, R-Flower Mound, Senate Bill 3 has been a priority of Republican Lt. Gov. Dan Patrick since he announced it at January’s inauguration. Republican Gov. Greg Abbott declared teacher pay an emergency item at his State of the State speech last month, allowing lawmakers to move more quickly to get related bills through the legislative process. SB 3 is the first bill addressing an emergency item to be passed out of either chamber. 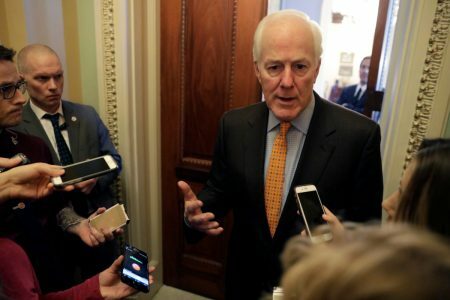 Every single member of the Senate signed onto the bill as co-author. She successfully proposed an amendment to SB 3 that would add librarians to the group of educators who would receive the raise, adding $53 million to the cost of the bill. “Librarians are teachers. 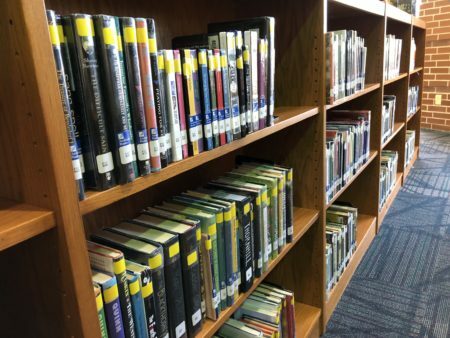 … I didn’t realize that we as a state require our librarians to have spent two years in the classroom,” she said. 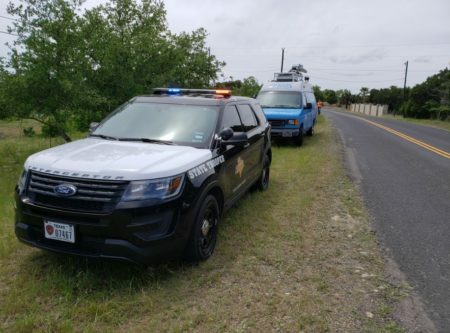 But she resisted efforts by Democrats, including Sen. Jose Menendez, D-San Antonio, to add other school staff such as counselors and nurses to the bill, because it would increase the cost too much. She said school districts could decide locally to increase raises for other staff. State Sen. Charles Schwertner, R-Georgetown, asked Nelson whether she would support merit pay proposals to reward the most effective teachers. She indicated it would be included in a school finance reform measure that state Sen. Larry Taylor, R-Friendswood, is expected to file — Senate Bill 4. Outside of the upper chamber, responses to the bill are mixed, with the conservative group Empower Texans, a key contributor to Patrick’s campaign, coming out against it unless lawmakers also pass “sufficient property tax relief.” And the proposal could face steep odds in the lower chamber, where House Speaker Dennis Bonnen, R-Angleton, has maintained that he would prefer to instead provide local school districts more flexibility with how they spend those funds. In January, the day after Nelson filed SB 3, Bonnen told reporters that the state would be better off giving those districts the money to decide how to “manage their own salaries and pay their teachers there.” And last week, Bonnen told Lubbock radio host Chad Hasty that while both chambers are “committed to doing better” for Texas teachers, the House “may have a different approach than” the Senate. Other top House Republicans have aligned with Bonnen on the issue, suggesting a flexible block grant to help schools recruit and retain teachers would be the more thoughtful approach. The proposal has also garnered divided responses from within the education advocacy community, with superintendents wanting more flexibility on how to use additional funding and many teachers wanting the directed raises. At a Senate Finance Committee hearing last week, educators expressed their appreciation for the bill, while asking lawmakers to expand it to librarians, school counselors and support staff. A number of House Democrats have championed expanding pay raises to other school staff, as well as addressing rising teacher health care premiums. In a plan unveiled by the House Democratic Caucus earlier this month, members proposed $3.78 billion for teacher pay and benefits. It was unclear at the time of the announcement how much exactly would be set aside for raises. Patrick first advocated for increased teacher pay in a 2017 special legislative session, but he wanted school districts to reallocate existing funding to pay for it. That proposal did not move far through the legislative process before getting axed, when education advocates came out against it. The bill would also cover the increased cost of teacher pension contributions for school districts as a result of the pay raises, and would stop districts from decreasing the raises in future years.